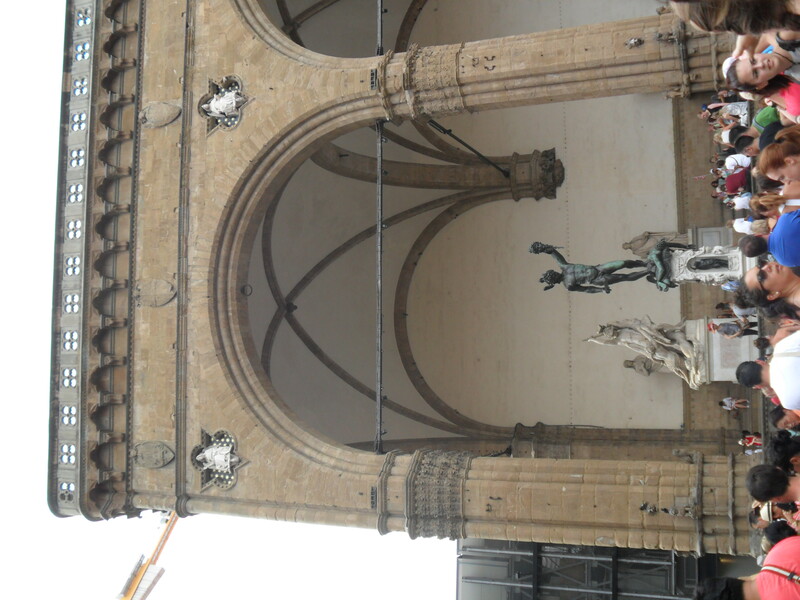 Today we spent the day in Florence, or Firenze in italian. Today we met a tour guide named Samantha, and she showed us the historical buildings and statues throughout the city. 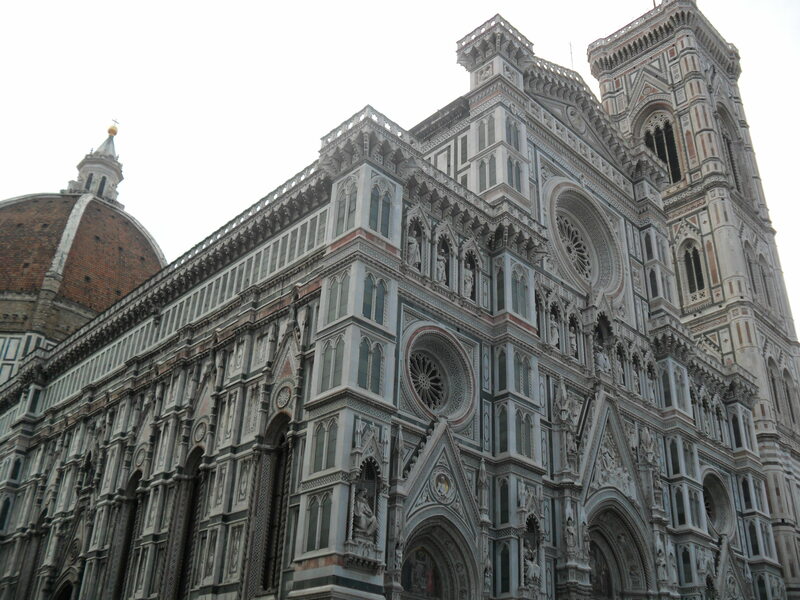 The first monument we saw, was the Cathedral of Florence, which is the 4th largest cathedral in Italy! Some interesting things we learned about the Cathedral was the that the Bell Tower was started by one architect, and finished by another, which is very noticeable when pointed out because the bottom half of the tower has a different style of art and sculpture compared the the top. 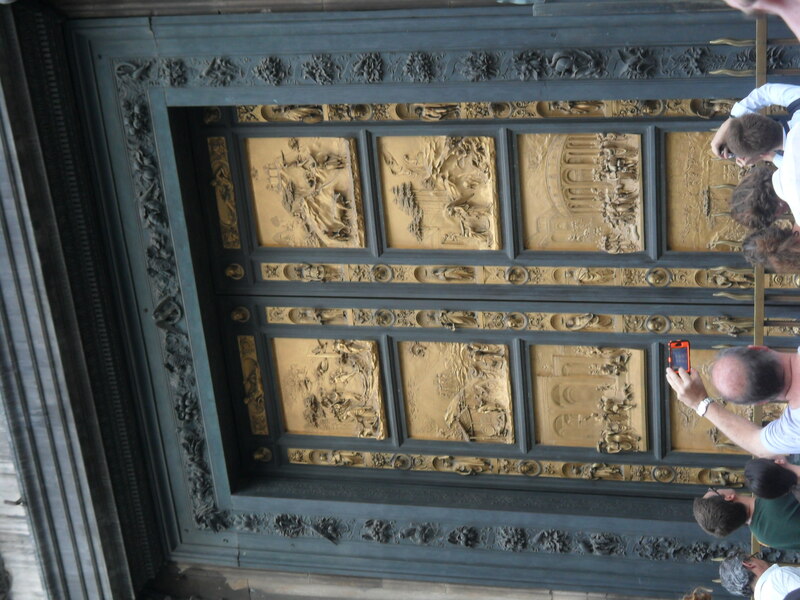 Across from the Cathedral was the Gates of Paradise, which took 27 years to finish! 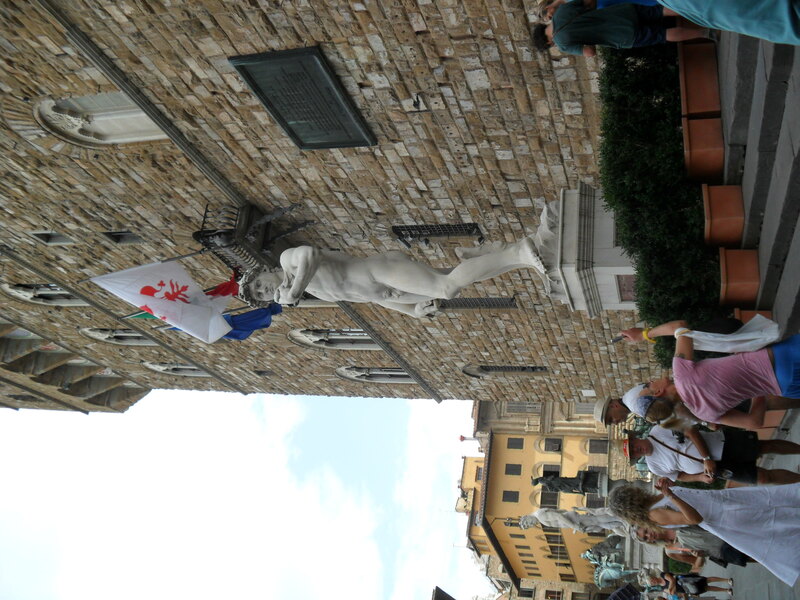 We ended our tour after being brought to the Palazzo Vecchio that holds many famous statues including The Statue of David, which was actually the only replica statue in the Palazzo Vecchio because they wanted to preserve the real one by placing it inside. Today we had lots of leisure time to explore Florence, most of us went to the Market streets where there were lots of vendors selling lots of leather goods, and various souvenirs. Unfortunately it was raining for our last couple hours, but dont worry,that didn’t stop us from shopping. We then had a training session with a coach sent over from the Italian Soccer Federation. The practice was very intense, the coach was definitely helping us raise our speed of play. The sun came back out just in time for the practice, which was nice, but it also made practice a lot harder as we are not used to the incredible hot weather here. Tomorrow we have our first game! Wish us Luck! « Day 2 in Rome! Thanks for blogging for all of us back in the states! Love the pics and hearing about everything!